Travel FlyFishingCaribe & Patagonia is glad to offer this special package to visit Perito Moreno Glacier, considered the eighth wonder of the world. Travel FlyFishingCaribe & Patagonia is glad to offer this special package to visit Perito Moreno Glacier, considered the eighth wonder of the world. The program consists in spending 2 nights in Buenos Aires and visiting this fascinating cosmopolitan and mutifaceted city which is the political, cultural and economic heart of Argentina. ; and three nights in the Southern Patagonia, staying at a unique lodge located just a 30-minute drive from El Calafate. In Buenos Aires, you will go sightseeing in a private city tour, visit different neighbourhoods and enjoy dinner in a traditional steak house. On the third day, you will travel by plane to El Calafate, where the staff of the lodge will be waiting for you to drive you to La Anita Valley and the eastern slope of the Mount Frias, where the lodge, a property of 3,000 hectares, is located. From its spacious and comfortable facilities, you have a wonderful view of Argentino Lake to the North, La Anita Valley to the East and Torres del Paine and Brazo Rico, a branch of the lake, to the south. Comfortable and spacious, EOLO is a lodge in the countryside reflecting the style of the old Patagonian estancias (ranches). The lodge offers different activities such as horsebackriding, trekking, mountain biking and birdwatching. 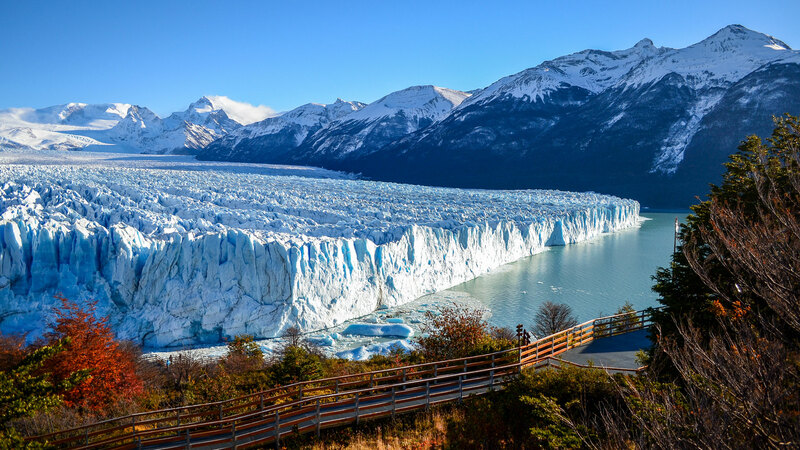 Our package also includes two excursions: the first, to the majestic Perito Moreno Glacier, famous for being one of the of the few glaciers with access from land, as it is surrounded by the mountain and the forest. You will be able to witness the vivid hew of the ice floes and hear the roar of huge blocks of ice breaking away from the glacier. 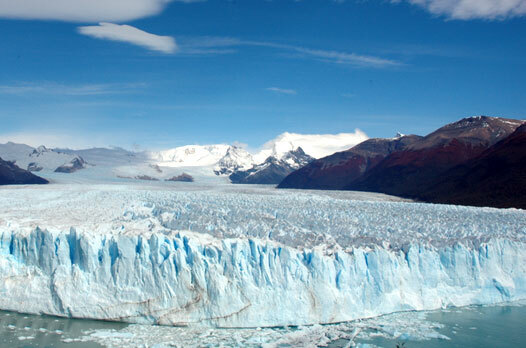 The other excursion is to Upsala Glacier, navigating the Argentino Lake on a catamaran. The catamaran sails along the Upsala branch to reach the very wall of the glacier. Then you will sail back up to the conjunction with the Cristina branch, to get to Cristina Bay for a walk or a 4x4 ride with guides who will explain the characteristics of the place, its flora and its fauna. Finally, you will visit Estancia Cristina, to enjoy a delicious lunch consisting of patagonian lamb. In the afternoon, you will return to the lodge. On the sixth day, you will return to Buenos Aires and be tranferred to your hotel. This trip to Patagonia and Perito Moreno Glacier is a unique and unforgettable experience. It allows visitors to get to know the real Argentine Patagonia, with all its splendour and breathtaking scenery. Reception at the airport in Buenos Aires and transportation by private vehicle to the Hilton Hotel. Accommodation at the hotel during the stay, including breakfast and taxes. Afternoon at leisure to rest and/or walk the most modern neighbourhood in Buenos Aires: Puerto Madero. Dinner at one of the best steak restaurants in Buenos Aires, "El Mirasol del Puerto" in Puerto Madero. Breakfast. 3-hour private city tour with bilingual guide. Afternoon and evening at leisure. We recommend the tango show. Breakfast. Transportation to the airport in Buenos Aires city to take the flight for Calafate. Reception at the airport and transportation to EOLO Lodge. Accommodation at the Lodge, including breakfast, lunch and tea and dinner. Evening at leisure. Breakfast. Transportation to Puerto Banderas for an excursion to the lake, Upsala Glacier and La Estancia Cristina, where you will have lunch and go trekking or for a 4x4 ride. Return to the hotel. Evening at leisure. Breakfast. Transportation to Perito Moreno Glacier. The Hotel will provide you with lunch boxes. Walking along the walkway opposite the glacier to watch the crumbling walls of ice falling into the lake below and enjoy this amazing view. Evening at leisure. Breakfast. Transportation to the airport in Calafate to take the flight to return to Buenos Aires. End of our services. Rates include: All ground tranfers in/out BsAs and Calafate. 2-night accommodation at the Hilton Hotel Puerto Madero. 1 dinner in a well known steak house in BsAs. City Tour. 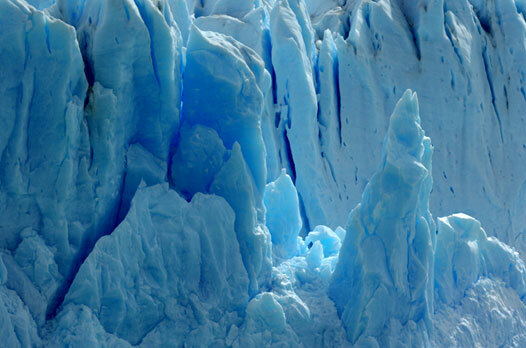 Airfare Buenos Aires/Calafate round-trip. 3-night accommodation in the exclusive EOLO Lodge with all meals. Private visit to the Glacier Perito Moreno. Ship excursion to the Upsala Glacier and "Estancia Crsitina" with lunch. Rates do not include: Other personal expenses in BsAs and Calafate. Personal insurance. Optional activities. Gratuities. Notes: We are able to organize a tailor made trip. Optionals: Tango Show in Buenos Aires; Mini Trekking in the Glacier; Horse Back Ridding, Others.